Aunt Amy was in town visiting us on St. Patrick's Day. Poor Mr. Ben had a fever virus, so he didn't wear his green that day. Max calls taking pictures "cheesin." As in, "Hey momma, cheese me." Or the ever popular, "Momma don't cheese me." Or Super Grover...depending on the day. You are a teething machine. I think by the end of the spring you may have a whole mouthful! You are outgrowing your 9 month clothes. You have some long legs. You are starting to scoot (army crawl) all over the house. You play peek-a-boo with people. 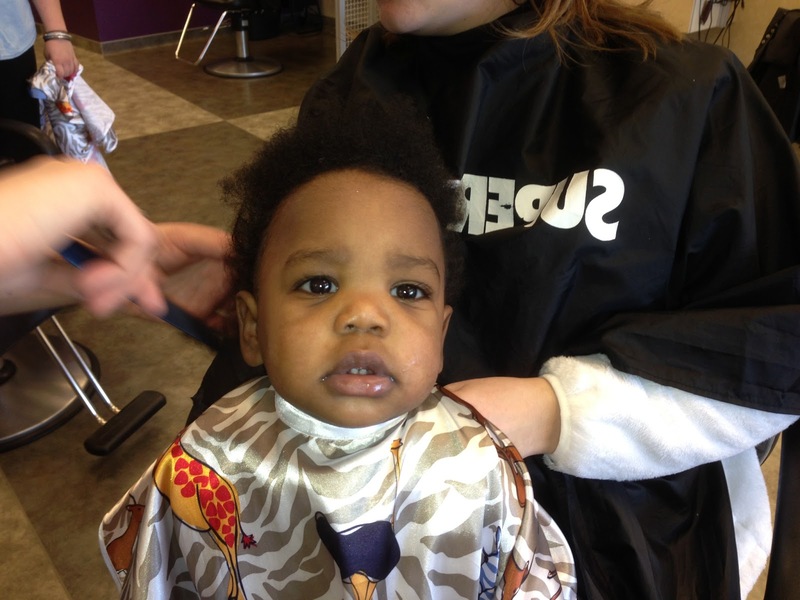 You got your first haircut, and you look so much older now! You love to eat. You also like to throw your food across the room. You are getting more attached to your dad every day. You really like when he comes home. You will drink out of a sippy cup. Well, you'll drink out of anything...as long as someone else holds it for you! Ben started playing peek-a-boo with me on the way to Texas. It cracked me up, because I didn't even know he knew how to play by himself. He thought it was hilarious! Nothing like a cupcake. Especially one with blue icing. 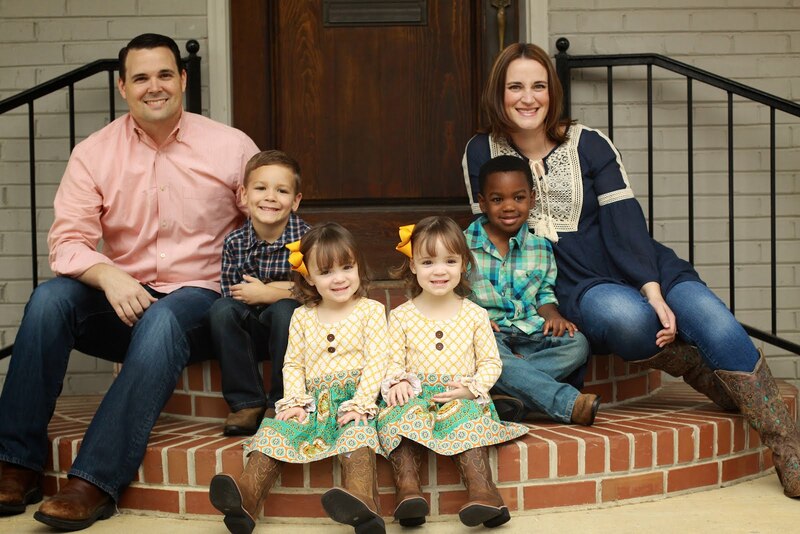 On March 10, we had the wonderful opportunity to celebrate Addie and Emmie with our Texas friends and family. My aunt was very sweet and hosted the shower at her house, and it was so much fun! In a lot of ways I still can't wrap my mind around the fact that two little girls will be joining our family very soon, but this definitely made it seem more real. It was also so nice to see people we don't get to see all that often living so far away. It was just a fabulous day all the way around! This is my Aunt Jan, sister-in-law Amy, cousin's wife Kristy, cousin's girlfriend Ashleigh, and me. I love this sign my mom made the girls. Ben relaxing in his Nana's lap. How adorable are these cookies?? They are from Cookie Couture Co. in Mansfield. To you these just look like cookies. To me, they are little drops of heaven. They are called fingerprint cookies, and I love when my mom makes them! Apparently my Grandma Sherry used to make them a lot too, because everyone at the shower got really excited about "Sherry's cookies" when they saw them. My sister, Hailey, and me. Our friend Wendy made all the yummy cupcakes, and my mom made these cute toppers. In case you didn't notice, my mom was chief crafter for the event. My aunt did such a good job with all the cute decorations! Love these cute little birds. My dad's cousin Marca and her daughter Elise. My cousin's daughter Maddie. Poor thing has zero personality...ha! My friend Jessica and Mr. Ben. Who is getting about 12 teeth right now! Micah and Katie. I was so excited these two could make it. We all lived together our senior year at Baylor along with another three girls. And the aftermath. We were truly blessed by everyone who came out to help us welcome our girls! If you pay attention to this blog or know us in real life, you know that Ben has some serious hair. 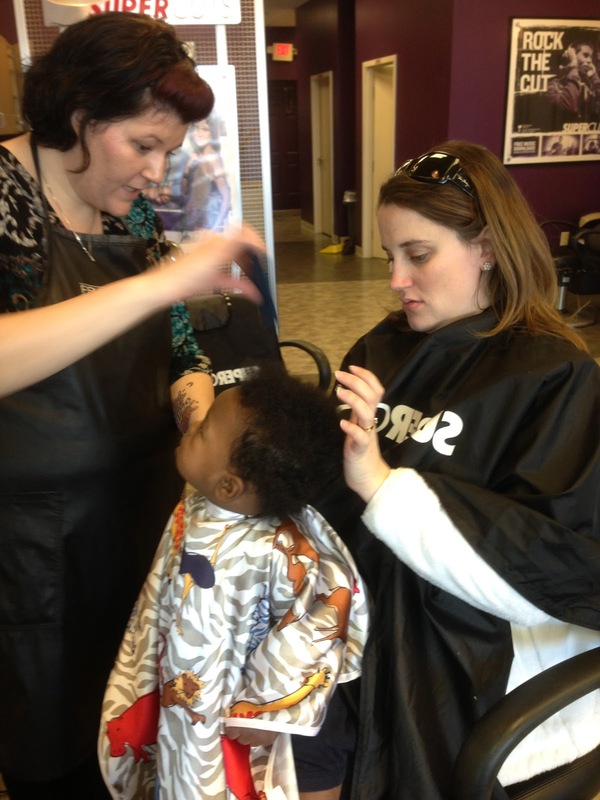 We had planned on waiting to get it cut until he was one, but it was getting so long that it was hard to care for. Plus, it was getting so tangled every day that he hated getting it combed out because it didn't feel that great. So, at the beginning of March we decided to go ahead and get it evened up. He was super curious about what was going on, but he did well. I was SO sad when it was done...he looked so completely different. Now that I am used to it, though, I think he looks adorable...even if it does make him look like a little boy and not my baby! The night before the haircut...goodbye hair! What are you doing to my hair?